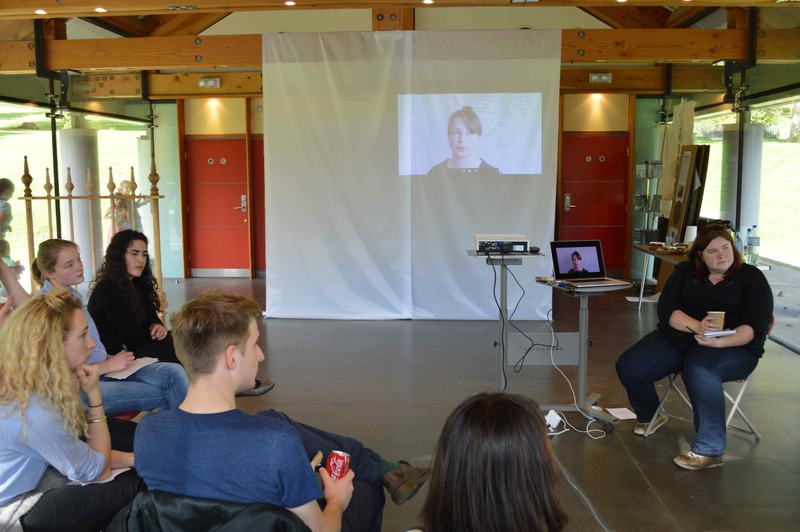 A discussion event on Saturday 30 August encouraged further inquiry into the nature of site-responsive practice. 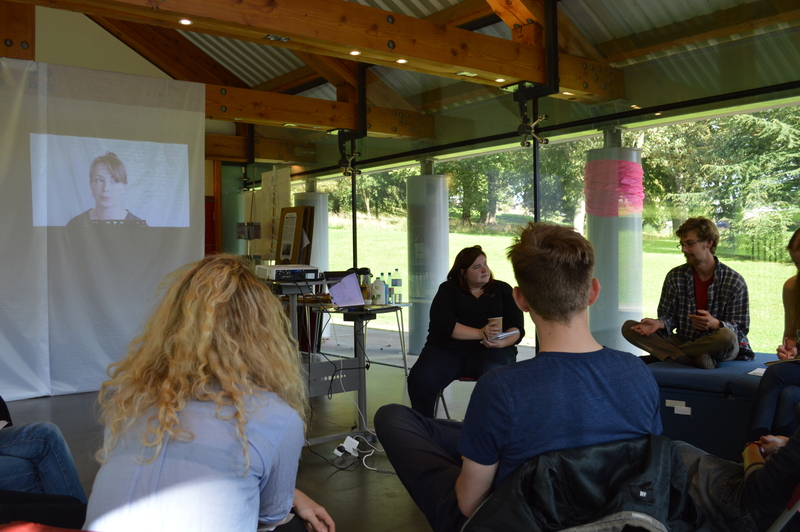 Artists, invited contributors Beth Savage and Annie Crabtree alongside visitors joined this Conversation Over Coffee navigating the potentials and complexities of site-responsive artistic/curatorial practice and how it can be seen to work in this way today. The conversation was conducted by Beth Savage (on-site) with pre-recorded video contributions from Annie Crabtree (off-site). Beth Savage is an artist working with notions of wilderness. Her work draws heavily on research into conservation and rewilding initiatives in Scotland and across the UK. She investigates human/wildlife conflicts and how our relationships with landscape and the creatures we share it with can help or hinder the ecology of our habitats. Savage’s work is often site and/or situation specific and encourages participation and collaboration with those around her. She is soon to begin an MA in Fine Art at York St John University alongside a 2 year residency at Attenborough Nature Reserve in Nottingham. Previously Savage has focussed her work around human/animal relationships in Dundee including her Urban Animal: Pets and Pests project and a year as Artist in Residence at Camperdown Wildlife Centre under the project title Becoming Animal. More recently, Savage took part in a two week residency in the Czech Republic as part of The Wild Project, this group of 15 artists continue to exhibit collectively.